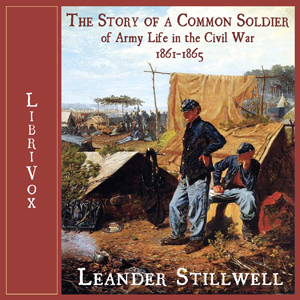 Listen to "Story of a Common Soldier of Army Life in the Civil War, 1861-1865, The" on your iOS and Android device. What a charming book. I am so happy to have found this little treasure to listen to. The narrator brings the story to life with a clear, well modulated voice and spoken with a pleasing pace. A young farm boy living in the heartland of America learns of the call to arms during the opening months of The Cicil War. Willingly answering the call of duty with patriotic heart. He says his farewell to family and home. Then turns his step to join the all volunteer army and march into the Great War 1861 - 1865. I like this story of an intelligent but down to earth young man. I can imagine inviting him into my home. And, after dinner, sitting with him near the warm crackling fire in the living room fireplace. Listening intently as he talks about his daily life experience as a common soldier. It is a feel good story which I highly recommend.